I know, I know. You might be thinking, “He can’t possibly have any more posts about Batman Metal…” But, you’d be wrong. I have one final thing to wrap up and this one is a little odd as it’s not game or minis related. 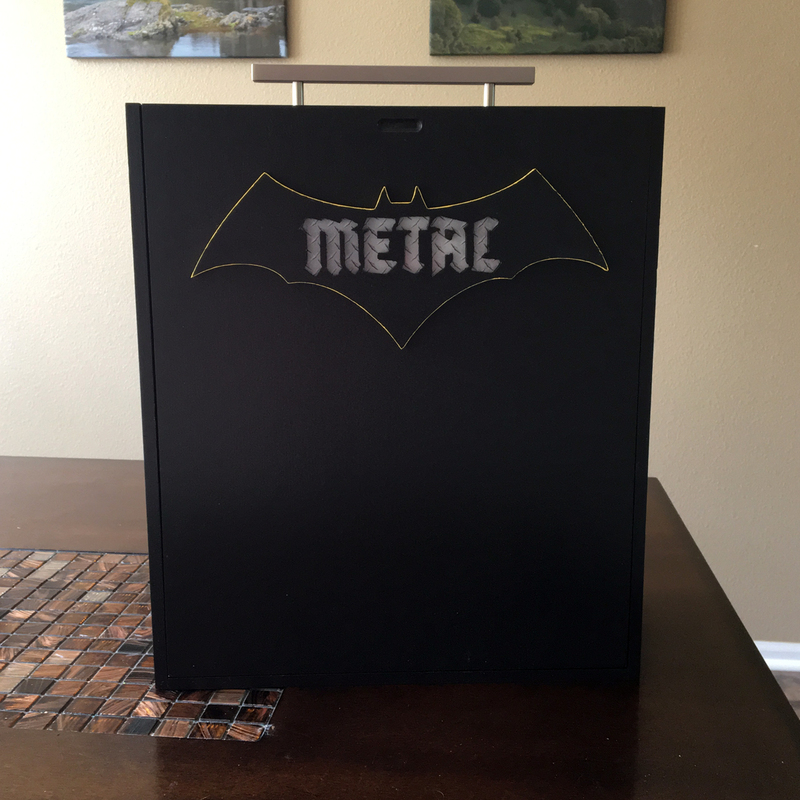 It is the finale to my Metal comic collection: my comic’s case. Wood is the new Metal after all. 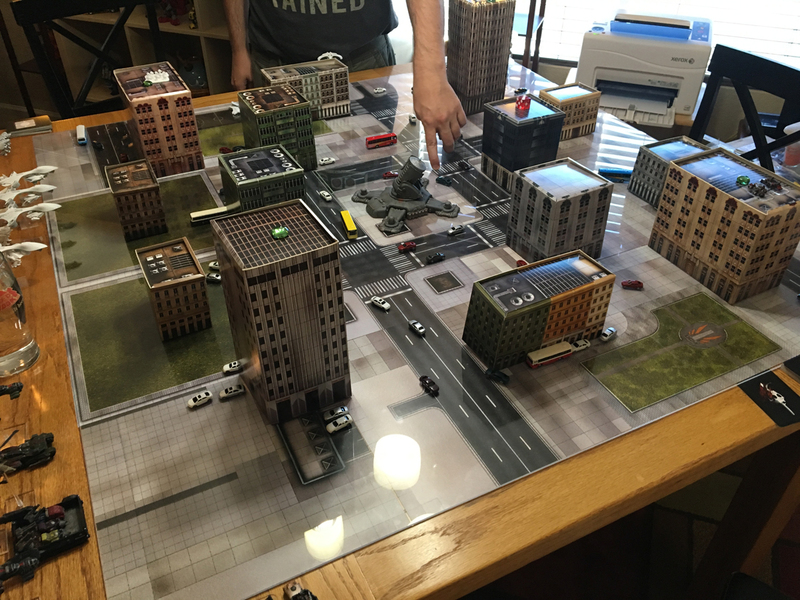 This weekend saw a lot of Dropzone as we celebrated a friend’s birthday with a bunch of Dropzone Commander games going off simultaneously. With 6 players, we had all five factions represented and I did a poor job of capturing the event as we had several interesting games going on. My map featured the orbital defense laser in the “Laser 2” scenario from Reconquest Phase 1. The Shaltari v UCM was river defense layout and the Shaltari v Scourge was a custom narrative scenario with some elevated highway terrain. 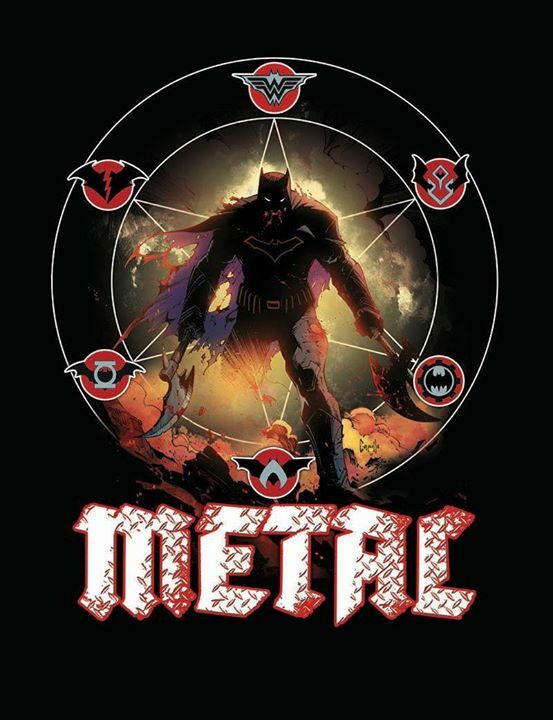 Lately, I’ve gotten back into comics and I jumped all-in on a big crossover event in the DC universe, Dark Nights Metal. It’s a massive, crazy story line that has pushed me into a lot of different comic titles as the events spill across the DC Universe. I haven’t been in a comic book store in twenty years or more so its been interesting coming back into that hobby. I don’t expect to stay in the hobby full time but it’s nice to jump in on occasion.